1 THE CODE ON WAGES, 2017 LABOUR AND EMPLOYMENT 21/08/2017 Report presented to the Lok Sabha on 18.12.2018 and laid on the Table of Rajya Sabha on18.12.2018. 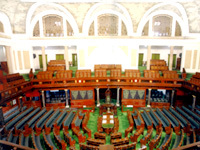 2 The Factories (Amendment) Bill, 2014 LABOUR AND EMPLOYMENT 16/09/2014 Report presented to the Lok Sabha on 22.12.2014 and laid on the Table of Rajya Sabha on 22.12.2014. 01:40 1. Dr. Kirit Somaiya, Chairperson 2. Shri Ashok Kumar dohrey, MP 3. Shri Satish Chandra Dubey, MP 4. Shri Satish Kumar Gautam, MP 5. Shri Rama Chandra Hansdah, MP 6. Shri Bahadur Singh Koli, MP 7. Dr. Arun Kumar, MP 8. Shri Kaushalendra Kumar, MP 9. Shri R. Parthipan, MP 10. Shri Naba Kumar Sarania, MP 11. Shri Nazir Ahmed Laway, MP 12. 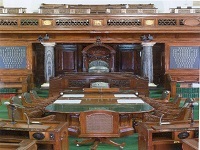 Shri Rajaram, MP 13. Ms. Dola Sen, MP 14. Shri Akhilesh Prasad Singh, MP 15. Dr. Banda Prakash, MP (i) Consideration of Memorandum No. 1 regarding selection of Subjects by the Standing Committee on Labour examination during the year 2018-19; and (ii) Briefing by the representatives of the Ministry of Labour and Employment, Ministry of Civil Aviation and Directorate Generalf Of Civil Aviation (DGCA) on `Scheduled/Non-Scheduled/Test Flying Air Operators/Maintenance Repair and Overhaul (MRO) Companies - Safety and Social Security Measures for their Workers/Employees especially in context of those who are associated with flying of the Aircraft`. 01:15 1.Dr. Kirit Somaiya, Chairperson, 2. Shri Rajesh Kumar Diwakar, 3. Shri Satish Chandra Dubey, 4. Shri Satish Kumar Gautam, 5.Shri Rama Chandra Hansdah, 6.Shri C.N. Jayadevan, 7.Shri Bahadur Singh Koli, 8.Shri Kaushalendra Kumar, 9.Shri Hari Manjhi, 10.Shri R. Parthipan, 11.Shri Hariom Singh Rathore, 12.Shri Naba Kumar Sarania, 13.Shri P.L. Punia, 14.Shri Rajaram, 15. Shri Amar Shankar Sable, 16. Shri Akhilesh Prasad Singh Briefing by the representatives of the Ministry of Labour & Employment on 'Welfare of Tea Plantation Workers'; and status of the action taken upon the 42nd Report of this Committee regarding 'Regulatory Framework of the EPFO on the Excluded Category vis-a-vis Implementation of Various PF Acts' including action taken by the Ministry in pursuance of Gazette Notification No. S.O. 3141(E)., dated 26.06.2018 published in The Gazette of India: Extraordinary [Part II - Sec. 3(ii)] regarding 'Administration of the Provident Funds Act, 1925 (19 of 1925)'. 02:00 1.Dr. 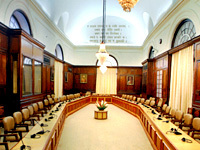 Kirit Somaiya- Chairperson, 2.Shri Rajesh Kumar Diwakar, 3.Shri Ashok Kumar Dohrey, 4.Shri Satish Chandra Dubey, 5.Shri Satish Kumar Gautam, 6.Shri Rama Chandra Hansdah, 7.Shri Bahadur Singh Koli, 8.Shri Kaushalendra Kumar, 9.Shri Hari Manjhi, 10.Shri Naba Kumar Sarania, 11.Shri Nazir Ahmed Laway, 12.Shri P.L. Punia, 13.Ms. Dola Sen, 14.Shri Akhilesh Prasad Singh, 15.Dr. Banda Prakash, 16.Shri Rajaram Briefing by the representatives of the Ministry of Labour & Employment and the Ministry of Commerce and Industry (Department of Commerce) on the Subject Welfare of Tea, Coffee, Rubber Plantation Workers. 01:30 1. Dr. Kirit Somaiya- Chairperson, 2.Shri Ashok Kumar Dohrey, 3.Shri Devajibhai Govindbhai Fatepara, 4.Dr. Boora Narsaiah Goud, 5. Shri Bahadur Singh Koli, 6. Dr. Arun Kumar, 7.Shri Hariom Singh Rathore, 8. Shri Naba Kumar Sarania, 9.Shri Dayakar Pasunoori, 10. Shri Nazir Ahmed Laway, 11.Shri Rajaram, 12.Shri N. Gokulakrishnan, 13. Shri Akhilesh Prasad Singh. Briefing by the representatives of the Ministry of Labour and Employment, EPFO, Ministry of Finance (Department of Financial Services), Reserve Bank of India, Punjab National Bank, Punjab and Sind Bank and Oriental Bank of Commerce on Employees Provident Fund Organisation- Functioning, Coverage of Establishments, Recovery of Arrears including Administration of Provident Funds Act, 1925 and All Other PF Related Acts. 01:05 1. Dr.Kirit Somaiya- Chairperson, 2.Shri Ashok Kumar Doharey, 3.Shri Satish Chandra Dubey, 4. Shri Satish Kumar Gautam, 5.Shri Rama Chandra Hansdah, 6.Dr. Arun Kumar, 7.Shri Kaushalendra Kumar, 8.Shri Hari Manjhi, 9.Shri Ram Narain Dudi, 10.Shri P.L. Punia, 11.Shri Rajaram, 12.Shri Amar Shankar Sable, 13.Shri N. Gokulakrishnan, 14. Shri Akhilesh Prasad Singh (i) Consideration of draft Report on 'Code on Wages Bill, 2017'; and (ii) Further Oral evidence of the representatives of the Ministries of Labour & Employment and Information & Broadcasting on the subject `Safety, Security, Protection & Welfare of TV/Broadcasting/Digital Entertainment/Advertisement Industry Workers`. 01:00 1. Dr. Kirit Somaiya, Chairperson 2. Shri Rajesh Kumar Diwakar, MP 3. Shri Satish Chandra Dubey, MP 4. Shri Rama Chandra Hansdah, MP 5. Shri C.N. Jayadevan, MP 6. Dr. Arun Kumar, MP 7. Shri Kaushalendra Kumar, MP 8. Shri Hari Manjhi, MP 9. Shri R. Parthipan, MP 10. Shri Nazir Ahmed Laway, MP	11. Shri P.L. Punia, MP 12. Shri Rajaram, MP 13. Ms. Dola Sen, MP i. Preliminary discussion on draft Report on `Safety, Security and Welfare of TV/Broadcasting/Digital Entertainment/Advertisement Industry Workers`; and ii. Further Oral evidence of the representatives of the Ministry of Textiles and the Ministry of Commerce & Industry (Department of Commerce), on the Subject `Review of Share of Textile Sector in India`s Export Basket`. 00:30 1. Dr. Kirit Somaiya, Chairperson 2. Shri Satish Kumar Gautam, MP 3. Dr. Boora Narsaiah Goud, MP 4. Shri Bahadur Singh Koli, MP 5. Shri Hariom Singh Rathore, MP 6. Shri Naba Kumar Sarania, MP 7. Shri Nazir Ahmed Laway, MP 8. Shri P.L.Punia, MP 9. Shri N. Gokulakrishnan, MP 10. Shri Madanlal Saini, MP 11. Shri Akhilesh Prasad Singh, MP 12. Dr. Banda Prakash, MP Discussion and Consideration of draft Report on `Scheduled/Non-Scheduled/Test Flying Air Operators/Maintenance Repair and Overhaul (MRO) Companies - Safety and Social Security Measures for their Workers/Employees especially in context of those who are associated with flying of the Aircraft`. 01:00 1. Dr. Kirit Somaiya, Chairperson 2. Shri Rajesh Kumar Diwakar, MP 3. Shri Ashok Dohrey, MP 4. Shri Satish Chandra Dubey, MP 5. Shri Devajibhai G. Fatepara, MP 6. Shri Rama Chandra Hansdah, MP 7. Shri Bahadur Singh Koli, MP 8. Dr. Arun Kumar, MP 9. Shri Hari Majhi, MP 10. Shri Dayakar Pasunoori, MP 11. Shri Ram Narain Dudi, MP 12. Shri N. Gokulakrishnan, MP 13. Shri Akhilesh Prasad Singh, MP 14. Dr. Banda Prakash, MP Briefing by the representatives of the Ministry of Labour & Employment, Employees` Provident Fund Orgarnistion (EPFO) and Employees` State Insurance Corporation (ESIC) on the Subject `Compliance with the Prescirbed Provisions of Deduction and Deposit of PF and ESI by the Employers`. 01:15 1. Dr. Kirit Somaiya, Chairperson 2. Shri Satish Chandra Dubey, MP 3. Dr. Boora Narsaiah Goud, MP 4. Shri Rama Chandra Hansdah, MP 5. 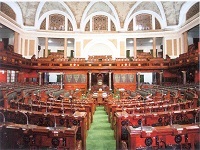 Shri C. N. Jayadevan, MP 6. Shri Bahadur Singh Koli, MP 7. Dr. Arun Kumar, MP 8. Shri Kaushalendra Kumar, MP 9. Shri R. Parthipan, MP 10. Shri Hariom Singh Rathore, MP 11. Shri Nazir Ahmed Laway, MP 12. Shri Rajaram, MP 13. Shri N. Gokulakrishnan, MP 14. Shri Akhilesh Prasad Singh, MP 15. Dr. Banda Prakash, MP Oral evidence of the representatives of the Ministry of Labour & Employment, the Ministry of Finance (Department of Revenue), Employees Provident Fund Organisation (EPFO), Employees' State Insurance Corporation (ESIC) and Central Board of Direct Taxation (CBDT) on the subject `Compliance with the Prescribed Provisions of Deduction and Deposit of PF, ESI and TDS (of Income Tax, etc.) by the Employers`. 01:00 1. Dr. Kirit Somaiya- Chairperson, 2. Shri Rajesh Kumar Diwakar, 3. Shri Ashok Kumar Dohrey, 4.Shri Satish Chandra Dubey, 5. Shri Rama Chandra Hansdah, 6. Shri Kaushalendra Kumar, 7. Shri Hari Manjhi, 8.Shri Hariom Singh Rathore, 9. Shri Nazir Ahmed Laway, 10. Shri P.L. Punia, 11.Shri Madanlal Saini, 12. Dr. Banda Prakash Oral evidence of the representatives of the Ministry of Labour and Employment, the Ministry of Finance (Department of Economic Affairs) and Employees Provident Fund Organisation (EPFO) on the Subject Guidelines, Monitoring, Rating and Regulatory System, Status of Investment in Bonds and such Instruments - (Example of Infrastructure Leasing and Financial Services (IL & FS) by PF funds, Pension Funds. 01:00 1. Dr. Kirit Somaiya- Chairperson, 2. Shri Rajesh Kumar Diwakar, 3. Shri Ashok Kumar Dohrey, 4. Shri Satish Chandra Dubey, 5. Shri Rama Chandra Hansdah, 6. Shri C.N. Jayadevan, 7. Shri Kaushalendra Kumar, 8. Shri Hari Manjhi, 9. Shri Hariom Singh Rathore, 10. Shri P.L. Punia, 11. Shri Madanlal Saini, 12. Dr. Banda Prakash Further oral evidence of the representatives of the Ministry of External Affairs on 'Overseas Employment of Women Workers including Nurses and Maids issues and Regulatory Framework'. 00:30 1. Dr. Kirit Somaiya- Chairperson, 2. Shri Ashok Kumar Dohrey, 3. Shri Satish Chandra Dubey, 4. Shri Rama Chandra Hansdah, 5. Shri C.N. Jayadevan, 6. Shri Kaushalendra Kumar, 7. Shri R. Parthipan, 8. Shri Hariom Singh Rathore, 9. Shri Ram Narain Dudi, 10. Shri P.L. Punia, 11. Shri Amar Shankar Sable, 12. Shri N. Gokulakrishnan, 13. Shri Madanlal Saini, Consideration and Adoption of draft Reports. 00:30 Dr. Kirit Somaiya- Chairperson, 2. Shri Devajibhai Govindbhai Fatepara, 3. Shri C.N. Jayadevan, 4.Shri Kaushalendra Kumar, 5.Shri Hariom Singh Rathore, 6. Shri Naba Kumar Sarania, 7. Shri Ram Narain Dudi, 8. Shri N.Gokulakrishnan, 9.Shri Madanlal Saini, 10. Dr. Banda Prakash Consideration and Adoption of Draft Reports. 00:30 1. Dr. Kirit Somaiya – Chairperson, 2. Shri Rama Chandra Hansdah, MP, 3. Shri Bahadur Singh Koli, MP, 4. Shri Hari Manjhi, MP, 5. 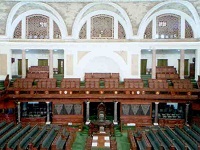 Shri R. Parthipan, MP, 6.Shri Nazir Ahmed Laway, MP, 7. Shri P.L. Punia, MP, 8. Shri N. Gokulakrishnan, MP, 9.Shri Akhilesh Prasad Singh, MP, 10. Dr. Banda Prakash, MP Briefing by the representatives of the Ministry of Textiles and NTC on Functioning of NTC vis-a-vis Revival/ Relocation/ Status/ Upgradation/ Modernisation of NTC Mills and future course of action of closed NTC Mills. 00:50 1. 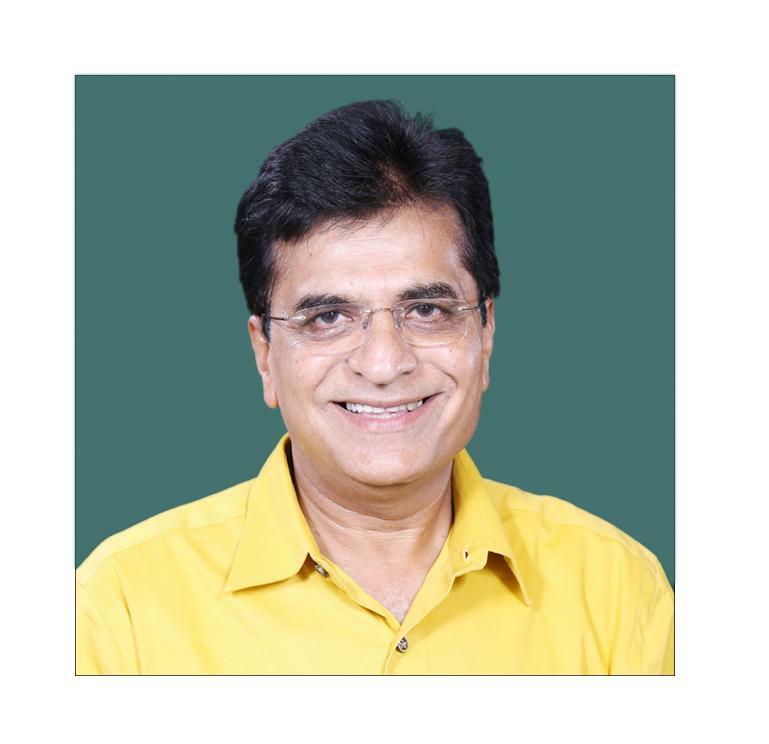 Dr. Kirit Somaiya – Chairperson, 2. Shri Rama Chandra Hansdah, MP, 3. Shri Bahadur Singh Koli, MP, 4. Shri Hari Manjhi, MP, 5. Shri R. Parthipan, MP, 6.Shri Nazir Ahmed Laway, MP, 7. Shri P.L. Punia, MP, 8. Shri N. Gokulakrishnan, MP, 9.Shri Akhilesh Prasad Singh, MP, 10. Dr. Banda Prakash, MP Briefing by the representatives of the Ministry of Labour & Employment, Ministry of Defence, Employees' Provident Funds Organisation (EPFO), Employees' State Insurance Corporation (ESIC) and Border Roads Organisation (BRO) on 'Implementation of Social Security and Welfare/ Protection Scheme for Construction Workers Deployed in Various Construction Activities/ Infrastructure Projects/ Real Estate. 2 5th - 9th October, 2018 Dr. Kirit Somaiya, Diwakar, Shri Rajesh Kumar ,Dohrey, Shri Ashok Kumar ,Fatepara, Shri Devajibhai Govindbhai ,Goud, Dr. Boora Narsaiah ,Hansdah, Shri Rama Chandra ,Koli, Shri Bahadur Singh ,Manjhi, Shri Hari ,Pasunoori, Shri Dayakar ,Rajaram, Shri ,Laway, Shri Nazir Ahmed ,Gokulakrishnan, Shri N. ,Banda Prakash, Dr. , Pune: Ministry of Skill Development & Entrepreneurship, NSDC, Ministry of Finance (Department of Financial Services), Bank of Maharashtra, Ministry of Labour & Employment, Ministry of Information & Broadcasting, Film and Television Institute of India (FTII). Mumbai: Ministry of Labour & Employment, Ministry of Information & Broadcasting, Ministry of Petroleum & Natural Gas, IOCL, Dadasaheb Phalke Chitranagri (Film City). Hyderabad: Ramoji Rao Film City, Ministry of Skill Development & Entrepreneurship, NSDC, Ministry of Labour & Employment, Ministry of Information & Broadcasting, Ministry of Finance (Department of Financial Services), Andhra Bank. (i) Examination of`Safety, Security, Protection & Welfare of TV/Broadcasting/ Digital Entertainment/ Advertisement Industry Workers; (ii) Scheduled/Non-Scheduled/Test Flying Air Operators/Maintenance Repair and Overhaul (MRO) Companies - Safety and Social Security Measures for their Workers/Employees, especially in the context of those who are associated with the Flying the Aircraft; (iii) Pradhan Mantri Kaushal Vikas Yojana; (iv) Functioning of National Skill Development Corporation (NSDC); (v) Deployment of Contract/Casual Workers/Sanitation Workers for Perennial Nature of Jobs. 3 25th - 28th April, 2018 Dr. Kirit Somaiya, ,Diwakar, Shri Rajesh Kumar ,Dohrey, Shri Ashok Kumar ,Fatepara, Shri Devajibhai Govindbhai ,Sarania, Shri Naba (Hira) Kumar ,Koli, Shri Bahadur Singh ,Rathore, Shri Hariom Singh ,Pasunoori, Shri Dayakar ,Kodikunnil, Shri Suresh ,Rajaram, Shri ,Laway, Shri Nazir Ahmed ,Sen, Ms. Dola , Darjeeling - Ministry of Skill Development & Entrepreneurship, NHPC, Tea Board and Allahabad Bank, Kolkata- Ministry of Shipping, Kolkata Port Trust, Ministry of Skill Development & Entrepreneurship, Jan Sikshan Sansthan, Ministry of Coal, Coal India Ltd, South Eastern Coalfields Ltd. (Dankuni Coal Complex), ESIC and Jute Corporation of India. (i) Pradhan Mantri Kaushal Vikas Yojana (PMKVY). (ii) Deployment of Contract/Casual/Sanitation Workers for Perennial Nature of Jobs. (iii) Implementation of Skill Development Programmes by Jan Sikshan Sansthan in West Bengal. (iv) The Employees State Insurance Corporation – coverage of establishments, recovery of arrears and functioning of the hospitals and dispensaries under the Scheme. (v) Development and promotion of Jute Industry and (vi) Implementation of various schemes of labour welfare for tea plantation workers. 4 23-24 January, 2018 Dr. Kirit Somaiya,Diwakar, Shri Rajesh Kumar ,Dohrey, Shri Ashok Kumar ,Fatepara, Shri Devajibhai Govindbhai ,Kumar, Shri Kaushalendra ,Manjhi, Shri Hari ,Sarania, Shri Naba (Hira) Kumar ,Kumar, Dr. Arun ,Rajaram, Shri ,Laway, Shri Nazir Ahmed ,Sable, Shri Amar Shankar ,Sen, Ms. Dola ,Pasunoori, Shri Dayakar , Ahmedabad-Department of Labour, Government of Gujarat, Textile Labour Association, Kandla Port Trust, Airport Authority of India (AAI), Ahmedabad Airport and Sardar Vallabhbhai Patel International Airport. Bengaluru- Department of Labour, Government of Karnataka,Coffee Board, Kudremukh Iron Ore Company Ltd, New Mangalore Port Trust,Software Technology Parks of India (STPI), Bengaluru, Syndicate Bank and Corporation Bank. (i) Deployment of Contract/Casual/Sanitation Workers for Perennial nature of jobs in Government/PSU offices/Establishments. (ii) Code on Wages Bill, 2017. 5 3-7 November, 2017 Dr. Kirit Somaiya, ,Diwakar, Shri Rajesh Kumar ,Dohrey, Shri Ashok Kumar ,Fatepara, Shri Devajibhai Govindbhai ,Koli, Shri Bahadur Singh ,Kumar, Shri Kaushalendra ,Manjhi, Shri Hari ,Rathore, Shri Hariom Singh ,Sarania, Shri Naba (Hira) Kumar ,Kodikunnil, Shri Suresh ,Kumar, Dr. Arun ,Gautam, Shri Satish Kumar ,Pasunoori, Shri Dayakar ,Jayadevan, Shri C. N. ,Dudi, Shri Ram Narain ,Laway, Shri Nazir Ahmed ,Sable, Shri Amar Shankar ,Rajaram, Shri ,Sen, Ms. Dola , Goa-Vedanta Iron Ore Mine, Mormugao Port Trust and Labour Department of Government of Goa. Mumbai-University of Mumbai, EPFO, Saraswat Cooperative Bank, ICICI Bank, Kotak Mahindra Bank, Mumbai Cooperative Bank, LIC, Labour Unions viz. Hind Mazdoor Sabha (HMS), Self Employed Womens Associations (SEWA), Labour Progressive Federation (LPF),Council of Indian Employers (CIE), All India Manufacturers Organisation (AIMO) and All India Association of Industries (AIAI). Thiruvananthapuram-Ministry of Labour & Employment, Ministry of External Affairs, Norka Roots, Overseas Development, Employment Promotion Consultants, Centre of Trade Unions Southern Wing,Labour Progressive Federation, Kochi Refinery, Ministry of Petroleum and Natural Gas and Ministry of Skill Development and Entrepreneurship. (i) Regulatory framework of the EPFO on the Excluded category vis-a-vis Implementation of various PF Acts. (ii) Deployment of Contract/Casual/Sanitation workers for perennial nature of jobs in LIC and Welfare, and Protection of Rights of Agents Associated with them. (iii) Overseas Employment of Women Workers including Nurses and Maids, issues and Regulatory Framework. (iv)ITIs and Skill Development Initiative Scheme. (v) Deployment of Contract/Casual/Sanitation workers for perennial nature of jobs and also had their suggestions/ views on the Code on Wages Bill, 2017. (vi) Agents Association of LIC on Welfare and Protection of their rights and feasibility of their coverage under the ESIC relaxed rules. (vii) Unions of contract and casual workers regarding Safety, Health and Social Security and also had their suggestions/ views on the Code on Wages Bill, 2017. (viii) Unions of teaching and Non teaching staff of University of Mumbai regarding benefits received under the University Managed Provident Fund. (ix) Saraswat Cooperative Bank, ICICI Bank and Kotak Mahindra Bank regarding benefits received under privately managed Provident Funds. 6 2-5 May, 2017 Dr. Kirit Somaiya, ,Diwakar, Shri Rajesh Kumar ,Dohrey, Shri Ashok Kumar ,Fatepara, Shri Devajibhai Govindbhai ,Koli, Shri Bahadur Singh ,Kumar, Shri Kaushalendra ,Manjhi, Shri Hari ,Rathore, Shri Hariom Singh ,Sarania, Shri Naba Kumar ,Kodikunnil, Shri Suresh ,Kumar, Dr. Arun ,Gautam, Shri Satish Kumar ,Pasunoori, Shri Dayakar ,Sen, Shri Tapan Kumar ,Dudi, Shri Ram Narain ,Verma, Shri Ravi Prakash ,Laway, Shri Nazir Ahmed ,Sable, Shri Amar Shankar , SURAT-Powerloom workers, Diamond Worker Employers and Training centre of Gem and Jewellery Skill Council of India and National Skill Development Corporation (NSDC). MUMBAI- JNPT, port workers. COIMBATORE- NTC,Addl. Handloom Commissioner and Tamil Nadu Handloom Weavers Co-operative Society (CO-OPTEX). UDHAGAMANDALAM (OOTY)- Tea Board (Chamraj Tea Garden) and ITI Coonoor, Nilgiris District. (i) Implementation of Social Security and other Welfare/Protection Schemes of the Ministry of Textiles. (ii) Welfare of workers of Un-Organised Sector, including traditional occupations. (iii) Status of Implementation of Social Security and Welfare/Protection Schemes for contract workers (e.g. Sanitation/Housekeeping/Security, etc.). (iv) Performance of Indian Handloom Brand Network and Performance of Tamil Nadu Handloom Weavers Co-operative Society (CO-OPTEX). (v) Welfare of Tea Plantation Workers. (vi) ITIs and Skill Development Initiative Scheme. 7 14-18th October, 2016 Dr. Kirit Somaiya, ,Diwakar, Shri Rajesh Kumar ,Dohrey, Shri Ashok Kumar ,Manjhi, Shri Hari ,Sarania, Shri Naba Kumar ,Gautam, Shri Satish Kumar ,Jayadevan, Shri C. N. ,Kumar, Shri Kaushalendra ,Rathore, Shri Hariom Singh ,Goud, Dr. Boora Narsaiah ,Kumar, Dr. Arun ,Fatepara, Shri Devajibhai Govindbhai ,Kodikunnil, Shri Suresh ,Pasunoori, Shri Dayakar ,Rajaram, Shri ,Dudi, Shri Ram Narain ,Verma, Shri Ravi Prakash ,Laway, Shri Nazir Ahmed ,Sable, Shri Amar Shankar , Central and Western Railway (Mumbai- Division), NSDC, Bhiwandi Powerloom Cluster, Regional Provident Fund Commissioner,Bandra (E), BPCL- Mumbai, Bank of Maharashtra, IT Park, Yerwada- Pune, Department of Skill Development and Entrepreneurship (Government of Andhra Pradesh and Government of Telangana), Unorganised Sectors and National Mineral Development Corporation - Hyderabad. (i) Status of Implementation of Social Securities and Welfare/ Protection Schemes for contract workers (e.g. sanitation/ housekeeping/security etc.) in Bank, IT Industries (Pune), other maintenance workers in Central and Western Railways of Mumbai Division,BPCL, artisans/ weavers in Maharashtra, unorganised Sector and NMDC. (ii) Functioning/ Running of projects of National Skill Development Corporation (NSDC). (iii)Regional Labour Commissioners, Regional Provident Fund Commissioner and Representatives of ESIC -Compliance with the prescribed provisions of deduction and deposit of PF and ESI by the Employers. 8 28th June, 2016 Kumar, Dr. Virendra ,Diwakar, Shri Rajesh Kumar ,Kumar, Dr. Arun ,Gautam, Shri Satish Kumar ,Jayadevan, Shri C. N. ,Kumar, Shri Kaushalendra ,Manjhi, Shri Hari ,Fatepara, Shri Devajibhai Govindbhai ,Goud, Dr. Boora Narsaiah ,Sarania, Shri Naba Kumar ,Rajaram, Shri ,Manjunatha, Shri Aayanur ,Verma, Shri Ravi Prakash , Construction site of CPWD, Sector -10, Dwarka, New Delhi, Head Office Building, PNB, Sector-10, Dwarka, DOEAC building, Additional office complex, Supreme Court, New Delhi. Deployment of Contract/ Casual/ Sanitation workers for perennial nature of jobs in CPWD. 9 20th - 25th May, 2016 Kumar, Dr. Virendra ,Diwakar, Shri Rajesh Kumar ,Fatepara, Shri Devajibhai Govindbhai ,Jayadevan, Shri C. N. ,Koli, Shri Bahadur Singh ,Kumar, Shri Kaushalendra ,Manjhi, Shri Hari ,Rathore, Shri Hariom Singh ,Sarania, Shri Naba Kumar ,Kumar, Dr. Arun ,Gautam, Shri Satish Kumar ,Dohrey, Shri Ashok Kumar ,Sen, Shri Tapan Kumar ,Rajaram, Shri ,Verma, Shri Ravi Prakash ,Punia, Shri P.L. ,Laway, Shri Nazir Ahmed ,Sen, Ms. Dola , Ahmedabad - Kandla Port Trust, Employees State Insurance Corporation, Mehsana- ONGC, Kolkata- Ambica Jute Mill, Eastern Railway and South Eastern Railway, Jute Commissioner National Jute Board, CPWD (West Bengal and NE Region), Dibrugarh- Tea Garden, Oil India Ltd, Duliajan-Digboi Refinery, IOCL (i) Deployment of Contract/Casual/Sanitation workers for perennial nature of jobs in Government/PSU offices/establishments including at Railway Stations. (ii) The Employees’ State Insurance Corporation – coverage of establishments, recovery of arrears and functioning of the hospitals and dispensaries under the Scheme. (iii)Welfare of Tea Plantation Workers. (iv) Development and promotion of Jute Industry. (v) Various Developmental Schemes for Handloom Weavers and Handicraft Artisans. (vi) ITIs and Skill Development Initiative Scheme. 10 7th May, 2016 Kumar, Dr. Virendra ,Diwakar, Shri Rajesh Kumar ,Fatepara, Shri Devajibhai Govindbhai ,Koli, Shri Bahadur Singh ,Kumar, Shri Kaushalendra ,Rathore, Shri Hariom Singh ,Sarania, Shri Naba Kumar ,Laway, Shri Nazir Ahmed , Delhi Metro Rail Corporation Ltd. Deployment of contract/ casual/ sanitation workers for perennial nature of jobs in DMRC. 11 7-12 October, 2015 Kumar, Dr. Virendra ,Diwakar, Shri Rajesh Kumar ,Fatepara, Shri Devajibhai Govindbhai ,Koli, Shri Bahadur Singh ,Kumar, Shri Kaushalendra ,Gautam, Shri Satish Kumar ,Rathore, Shri Hariom Singh ,Sarania, Shri Naba Kumar ,Kodikunnil, Shri Suresh ,Laway, Shri Nazir Ahmed ,Punia, Shri P.L. ,Rajaram, Shri ,Sen, Shri Tapan Kumar ,Verma, Shri Ravi Prakash , Chennai-Chennai Petroleum Corporation Ltd.,Neyveli Lignite Corporation Ltd., Chennai Port Trust, CPWD, Indian Bank. Thiruvananthapuram-Cochin Port Trust, Southern Railway, Employees state Insurance Corporation, Hindustan News Print Ltd. Mumbai-Mumbai Port Trust, National Textile Corporation, BSNL (i) Deployment of contract/casual workers/sanitation workers for perennial nature of Jobs in PSU offices/establishments including at ports and Railway Stations. (ii) Employees state Insurance Corporation-Coverage of Establishments, recovery of arrears and functioning of the Hospitals and dispensaries under the Scheme. (iii) National Textile Corporation-Modernisation and revival of NTC Mills located in Maharashtra. 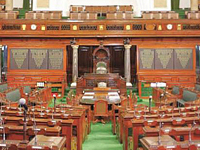 12 13-15 February, 2015 Kumar, Dr. Virendra ,Diwakar, Shri Rajesh Kumar ,Fatepara, Shri Devajibhai Govindbhai ,Koli, Shri Bahadur Singh ,Kumar, Shri Kaushalendra ,Manjhi, Shri Hari ,Kodikunnil, Shri Suresh ,Ratanpuri, Shri G. N. ,Rajaram, Shri , East Coast Railways (Bhubaneswar), Paradip Refinery (Bhubaneswar),Paradip Port Trust (Bhubaneswar), State Bank of India (Odisha), Mahanadi Coalfields Limited (Odisha), NALCO (Odisha), BSNL (Kolkata), Kolkata Port Trust (Kolkata), Coal India Limited (Kolkata) and Jute Corporation of India (Kolkata). (i)Deployment of contract/casual workers/sanitation workers for perennial nature of Jobs in PSU offices/establishments including at Railway Stations. (ii) Development and promotion of Jute Industry. 13 1-6 January, 2015 Kumar, Dr. Virendra ,Diwakar, Shri Rajesh Kumar ,Jayadevan, Shri C. N. ,Koli, Shri Bahadur Singh ,Goud, Dr. Boora Narsaiah ,Manjhi, Shri Hari ,Fatepara, Shri Devajibhai Govindbhai ,Kumar, Shri Kaushalendra ,Sen, Shri Tapan Kumar ,Ratanpuri, Shri G. N. , Tirupati - South Central Railway, Tirupati Workshop, EPFO, Hyderabad - Indian Oil Corporation, Hindustan Petroleum Corporation Limited, National Buildings Construction Corporation Limited, Singareni Collieries Company Limited, Mangalore - Mangalore Refinery and Petrochemicals Limited, New Mangalore Port Trust, HMT (International) Limited and HMT Limited, Food Corporation of India. (i)Deployment of contract/casual workers/sanitation workers for perennial nature of Jobs in PSU offices/establishments including at Railway Stations (ii).Employees Provident Fund Organisation – Coverage of establishments, recovery of arrears and functioning. (iii)The Employees’ State Insurance Corporation – coverage of establishments, recovery of arrears and functioning of the hospitals and dispensaries under the Scheme. (iv) Review of Urban Haats. 32 Statement showing further action taken by the Government on the recommendations contained in Thirty-Second Report of the Standing Committee on Labour on the recommendations contained in their Twenty-Fifth Report on 'Demands for Grants (2017-18)' of the Ministry of Skill Development & Entrepreneurship. 29 Statement showing further action taken by the Government on the recommendations contained in the Twenty-Ninth Report of the Standing Committee on Labour on the recommendations contained in their Twenty-Third Report on 'Demands for Grants (2017-18)' of the Ministry of Labour & Employment. 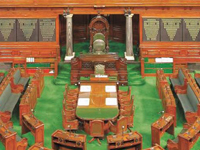 31 Statement showing further action taken by the Government on the Observations/ Recommendations of the Standing Committee on Labour contained in their Thirty-First Report (Sixteenth Lok Sabha) on the Action Taken by the Government on the Observations/ Recommendations contained in their Twenty-Fourth Report (Sixteenth Lok Sabha) on 'Demands for Grants (2017-18)' of the Ministry of Textiles. 22 Statement showing further action taken by the Government on the Observations/ Recommendations of the Standing Committee on Labour contained in their Twenty- Second Report (Sixteenth Lok Sabha) on Action Taken by the Government on the Observations/ Recommendations of the Committee contained in their Sixteenth Report (Sixteenth Lok Sabha) on 'Demands for Grants (2016-17)' of the Ministry of Skill Development & Entrepreneurship. 20 Statement showing further action taken by the Government on the Observations/Recommendations of the Standing Committee on Labour contained in their Twentieth Report (Sixteenth Lok Sabha) on Action Taken by the Government on the Observations/ Recommendations contained in their Seventeenth Report (Sixteenth Lok Sabha) on `Demands for Grants (2016-17)` of the Ministry of Labour & Employment. 21 Statement showing further action taken by the Government on the Observations/Recommendations of the Standing Committee on Labour contained in their Twenty-First Report (Sixteenth Lok Sabha) on Action Taken by the Government on the Observations/ Recommendations contained in their Eighteenth Report (Sixteenth Lok Sabha) on `Demands for Grants (2016-17)` of the Ministry of Textiles. 15 Statement showing further action taken by the Government on the Observations/Recommendations of the Committee contained in their Fifteenth Report (Sixteenth Lok Sabha) on Action Taken by the Government on the Observations/Recommendations contained in their Ninth Report (Sixteenth Lok Sabha) on `Review of Urban Haats`. 12 Statement showing further action taken by the Government on the Observations/Recommendations of the Committee contained in their Twelfth Report (Sixteenth Lok Sabha) on Action Taken by the Government on the Observations/Recommendations contained in the Fourth Report (Sixteenth Lok Sabha) on `Regularisation of Casual Workers/Artists of Radio Kashmir, CBS Radio Kashmir and Doordarshan Kendra, Srinagar`. 14 Statement showing further action taken by the Government on the Observations/Recommendations of the Committee contained in their Fourteenth Report (Sixteenth Lok Sabha) on Action Taken by the Government on the Observations/Recommendations contained in the Seventh Report (Sixteenth Lok Sabha) on `Demands for Grants (2015-16)` of Ministry of Labour and Employment. 6 Statement showing further action taken by the Government on the Observations/Recommendations of the Committee contained in their Sixth Report (Sixteenth Lok Sabha) on Action Taken by the Government on the Observations/Recommendations contained in the Second Report (Sixteenth Lok Sabha) on Demands for Grants (2014-15) of the Ministry of Textiles. 5 Statement showing further action taken by the Government on the Observations/Recommendations of the Committee contained in their Fifth Report (Sixteenth Lok Sabha) on Action Taken by the Government on the Observations/Recommendations contained in the First Report (Sixteenth Lok Sabha) on Demands for Grants (2014-15) of the Ministry of Labour and Employment.